Describes the known issues for Oracle Integration Cloud Service. Describes how to connect applications in the cloud and monitor and manage these running integrations. It also describes how to access and use prebuilt integrations. Describes how to use the mapper to map source data structures to target data structures. Describes the new features for this release of Oracle Integration Cloud Service. Describes how to use the Adobe eSign Adapter with Oracle Integration Cloud Service. Describes how to use the Concur Adapter with Oracle Integration Cloud Service. Describes using the DB2 Adapter with Oracle Integration Cloud Service. Describes how to use the DocuSign Adapter with Oracle Integration Cloud Service. Describes how to use the Eventbrite adapter with Oracle Integration Cloud Service. Describes how to use the Evernote Adapter with Oracle Integration Cloud Service. Describes how to use the Facebook Adapter with Oracle Integration Cloud Service. Describes how to use the File Adapter with Oracle Integration Cloud Service. Describes how to transfer files to and from servers in an integration in Oracle Integration Cloud Service. Describes how to use the Gmail Adapter with Oracle Integration Cloud Service. Describes how to use the Google Calendar Adapter with Oracle Integration Cloud Service. Describes how to use the Google Task Adapter with Oracle Integration Cloud Service. Describes how to use the LinkedIn Adapter with Oracle Integration Cloud Service. Describes how to use the MailChimp Adapter with Oracle Integration Cloud Service. Describes how to use the Microsoft Calendar Adapter with Oracle Integration Cloud Service. Describes how to use the Microsoft Contact Adapter with Oracle Integration Cloud Service. Describes how to use the Microsoft Email Adapter with Oracle Integration Cloud Service. Describes how to use the Microsoft SQL Server Adapter with Oracle Integration Cloud Service. Describes how to use the MySQL Adapter with Oracle Integration Cloud Service. Describes how to use the Oracle Advanced Queuing (AQ) Adapter with Oracle Integration Cloud Service. Describes how to use the Oracle Commerce Cloud Adapter with Oracle Integration Cloud Service. Describes how to use the Oracle CPQ Cloud Adapter with Oracle Integration Cloud Service. Describes how to use the Oracle Database Adapter with Oracle Integration Cloud Service. Describes how to configure the Oracle E-Business Suite Adapter in the Adapter Endpoint Configuration Wizard. 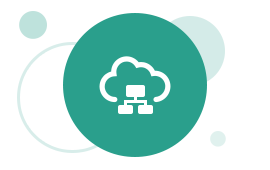 Describes how to use the Oracle Eloqua Cloud Adapter with Oracle Integration Cloud Service. Describes how to use the Oracle ERP Cloud Adapter with Oracle Integration Cloud Service. Describes how to use the Oracle Field Service Adapter with Oracle Integration Cloud Service. Describes how to use the Oracle HCM Cloud Adapter with Oracle Integration Cloud Service. Describes how to use the Oracle JD Edwards EnterpriseOne Adapter with Oracle Integration Cloud Service. Describes how to use the Oracle Logistics Adapter with Oracle Integration Cloud Service. Describes how to use the Oracle Messaging Cloud Service Adapter with Oracle Integration Cloud Service. Describes how to use the Oracle NetSuite Adapter with Oracle Integration Cloud Service. Describes how to use the Oracle Responsys Adapter with Oracle Integration Cloud Service. Describes how to use the Oracle RightNow Cloud Adapter with Oracle Integration Cloud Service. Describes how to use the Oracle Sales Cloud Adapter with Oracle Integration Cloud Service. Describes how to use the Oracle Siebel Adapter with Oracle Integration Cloud Service. Describes how to use the Oracle Utilities Adapter with Oracle Integration Cloud Service. Describes how to use the JMS Adapter with Oracle Integration Cloud Service. Describes how to use the REST Adapter with Oracle Integration Cloud Service. Describes how to use the Salesforce Adapter with Oracle Integration Cloud Service. Describes how to use the SAP Adapter with Oracle Integration Cloud Service. Describes how to use the Ariba Adapter with Oracle Integration Cloud Service. Describes how to use the ServiceNow Adapter with Oracle Integration Cloud Service. Describes how to use the SOAP Adapter with Oracle Integration Cloud Service. Describes how to use the SuccessFactors Adapter with Oracle Integration Cloud Service. Describes how to use the SurveyMonkey Adapter with Oracle Integration Cloud Service. Describes how to use the Trello Adapter with Oracle Integration Cloud Service. Describes how to use the Twilio Adapter with Oracle Integration Cloud Service. Describes how to use the Twitter Adapter with Oracle Integration Cloud Service. Describes how to use the Workday Adapter with Oracle Integration Cloud Service. Describes the Oracle Integration Cloud Service REST API. Use the Oracle Integration Cloud Service REST API to manage and monitor integrations, adapters, connections, lookups, and packages. Describes error messages in Oracle Integration Cloud Service. Describes use case information for Oracle Integration Cloud Service adapters.